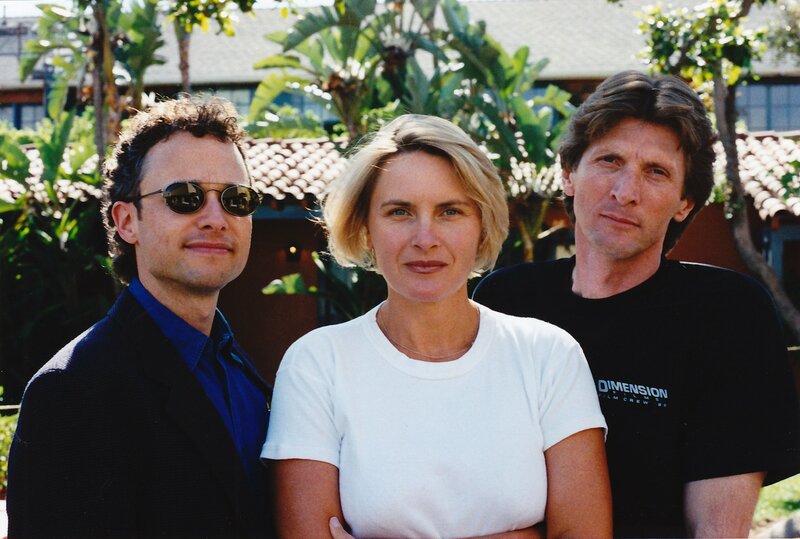 The TREKKIES creative team: (Left to right) Director Roger Nygard, Co-Executive Producer Denise Crosby, and Producer W.K. Border. The juror who wore her uniform on the Whitewater jury, Lt. Commander Barbara Adams of the Little Rock unit of the Federation Alliance, wearing her famous uniform. A Klingon fan with young “Star Trek” fan, Morgan Barbour at the “Star Trek” convention in Pasadena, California. Dr. Denis Bourguignon, his wife Shelly, and their children, Doug and Kayla, in Orlando, Florida after being interviewed for TREKKIES. Minnesota “Star Trek” Fans Brian Dellis and Paul Rudeen. Director Roger Nygard and astronaut Buzz Aldrin, at the Griffith Observatory. Denise Crosby interviews astronaut Buzz Aldrin, at the Griffith Observatory. Director of photography Harris Done films with his 16mm Eclair NPR. Walter Koenig (“Chekov”) with Denise Crosby after being interviewed for TREKKIES. Leonard Nimoy (“Spock”) with Denise Crosby after being interviewed for TREKKIES. Captain Kirk lookalike and convention master of ceremonies J. Trusk. A canine “Star Trek” fan at a convention in Pasadena, California. Director Roger Nygard with Captain Kirk himself (in cardboard form) at the theatrical opening of Trekkies. Director Roger Nygard with Captain Kirk lookalike and convention master of ceremonies J. Trusk at Fantasticon. 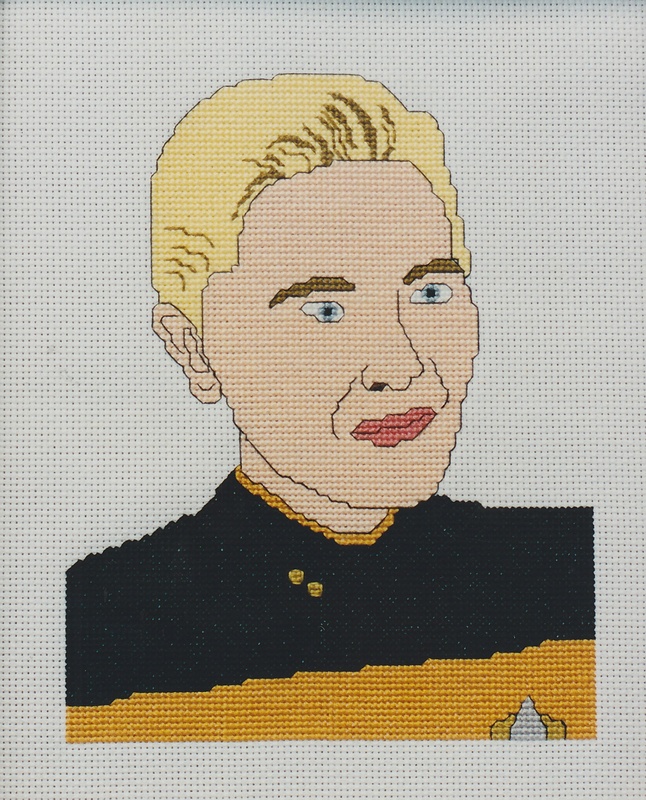 Needlepoint art of Denise Crosby as Tasha Yar.